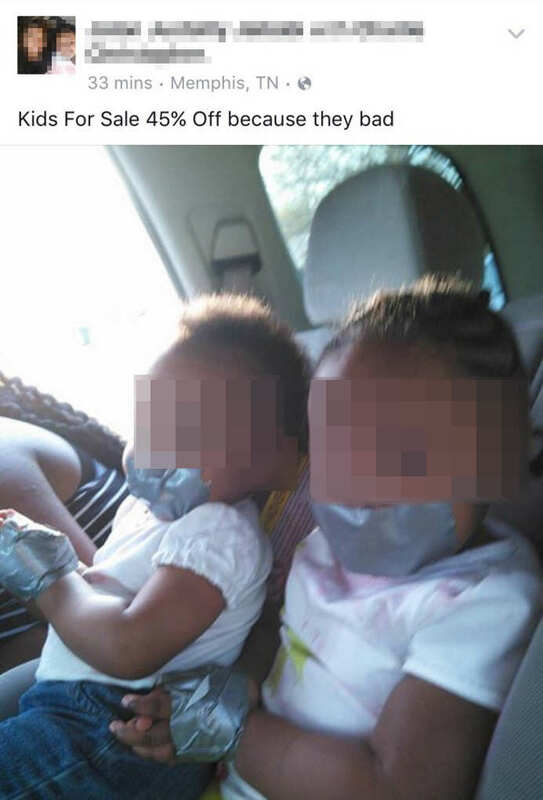 Police in Memphis, Tennessee have launched an investigation after a disturbing photo surfaced on Facebook. The picture was posted by Facebook user Jaton Justsilly Jaibabi, who has now deactivated the account, reports WMC News. As well as the Memphis Police Department – who launched an investigation after being sent the picture by WMC News – it has been reported that other state departments are investigating the photo – in which you can see tears in the oldest child’s eyes. That’s wrong. That’s no joke. It’s nothing to play with. I find it offensive. The Tennessee Department of Children’s Services has said they have limited information and are doing more research before investigating the family. I could not breathe. It took my breathe away; caused extreme emotional distress. These are children. These are human beings. I suspect that duct taping your kid’s mouths may cross the practical joke line – probably best not to do that again.